Sue Dyson and Roger McShane. First published in Wine Talk, November 2017. In the first part of this series of articles in the last newsletter we discussed the three types of rocks which cover the Earth but we did not discuss how these are turned into soil. That is what we are going to discuss next. biological weathering through processes initiated by plants, animals, bacteria and fungi. There are some complexities in dividing weathering up this way because, as we will see, bacteria actually use chemicals to assist in the breaking down of rocks into smaller components. Nevertheless, it’s a useful way to begin the discussion. Physical weathering can range from the extreme to the extremely gentle. 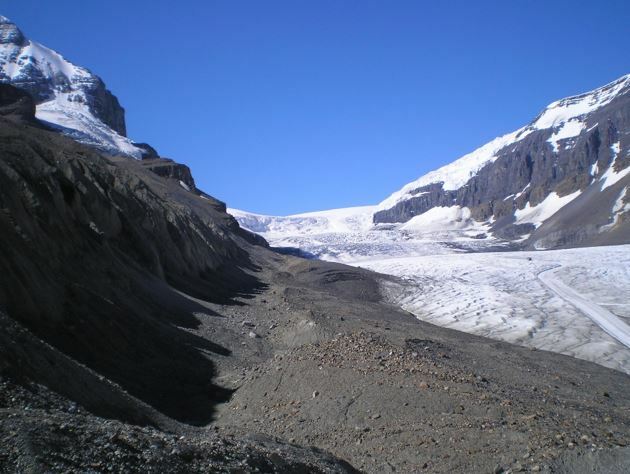 One of the most awe-inspiring methods is the grinding action of huge glaciers that pick up rocks in their journey downhill and use them to grind against other rocks in the valley walls and floor creating “moraines” that are a mixture of rocks and soil. Water is also involved in another type of weathering. Water can get into cracks in rocks and then freeze. As water freezes it expands and this puts pressure on the rocks. Repeated thawing and freezing can eventually crack pieces off the rock where the process begins again. Rocks tumbling over other rocks in rivers can also cause weathering as can the simple action of water running over the rocks. As a general point, massive rocks such as granite tend to be weathered less by physical processes than layered rocks such as sandstone or limestone or siltstone that have lines of weakness as a result of the way they formed. Some old metamorphic rock with flaky minerals such as biotite are also more susceptible to this form of weathering. Chemical weathering occurs when rocks are broken down by chemical processes when they are exposed to chemical agents such as water, acids, carbon dioxide and oxygen. The effectiveness of chemical weathering depends on the chemical structure of the rocks. If the rocks are rich in iron or aluminium they are more likely to be affected by acids produced by physical or biological processes. Here a liquid (water) and a gas (carbon dioxide) have reacted to form another liquid (carbonic acid). Obviously, as more carbon dioxide is found in the atmosphere the more acidic the rain will become. The resulting acid will be fairly weak but enough to cause some degradation of the rocks on which it falls by turning it into a solution through a process known as hydrolysis. Here, two molecules of potassium feldspar combine with one molecule of water and one of carbonic acid (acid rain). The result is one molecule of potassium carbonate, one molecule of kaolinite which is a clay-based mineral and hence is solid and can’t be absorbed and four molecules of silicon dioxide which has been dissolved and hence can be absorbed. But the main point is that the quite rigid and tough feldspar has been partially converted into a clay structure which is much weaker than the feldspar and hence more susceptible to weathering. Another chemical process that often occurs in iron-rich rocks is oxidation where rocks are broken down on their surface through the action of oxygen from the atmosphere and water from rain or rivers producing the rust-coloured surface (actually iron oxide which is quite a soft substance) that is commonly seen on these rocks. The actual chemical process sees positively charged iron ions combining with oxygen from the air to form ferrous oxide which is a soft substance that breaks away from the host rocks very easily. Biological weathering is essentially a subset of chemical weathering because biological agents initiate weathering through chemical secretions. Fungi including the all-important mycorrhizal fungi. 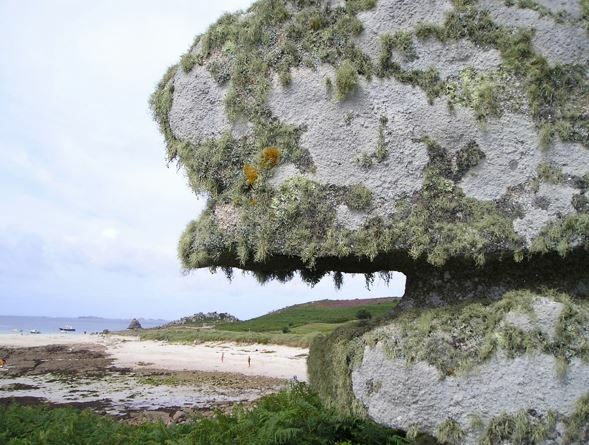 Plants such as lichens can be observed weathering rocks when they attach to exposed outcrops. 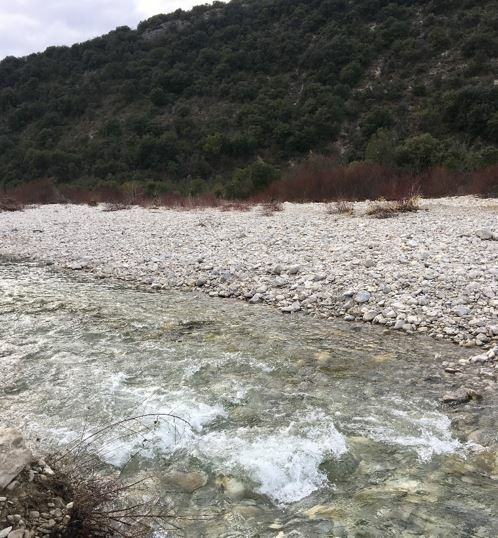 They increase the chemical weathering through the release of acid molecules onto the surface of the rocks which combine with water to form acids which break down the rocks. The roots of plants also creep into cracks in rocks and the pressure of the roots causes further cracking and hence further weathering. It is quite often the case that these roots secrete slightly acidic substances which then creates further weathering through the associated chemical processes. Burrowing animals such as rabbit, wombats, moles and others also cause fragments of rocks to be brought to the surface where they are exposed to physical and chemical weathering agents. There have been a number of scientific papers published in the past decade that demonstrate clearly that our smallest living creatures on the planet, namely bacteria, are capable of “eating rocks” by oxidising iron leading to other mineral transformations and subsequent rock decomposition. 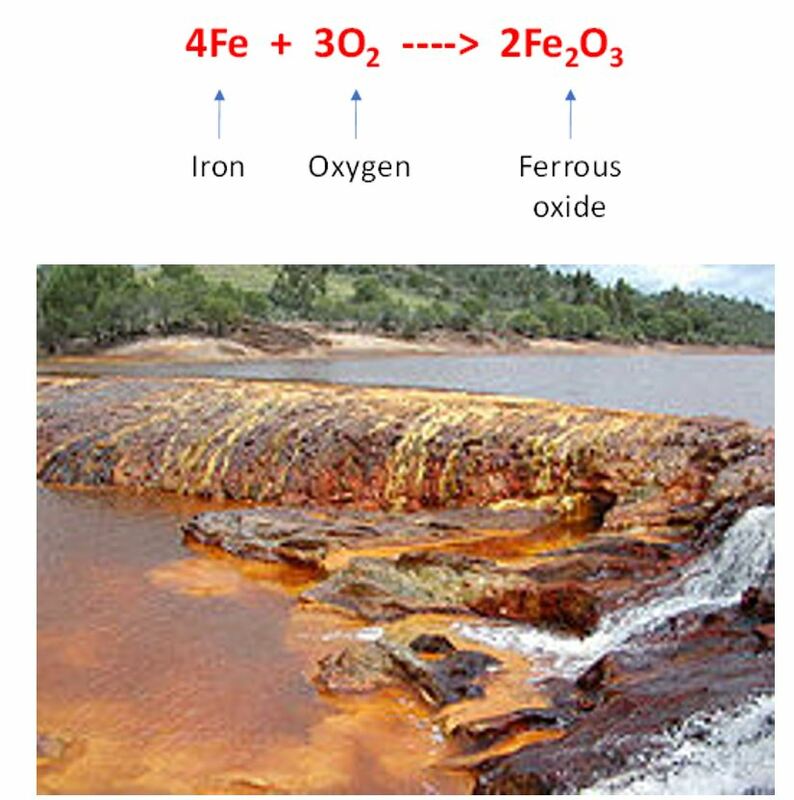 In the biotite, Mössbauer confirmed that the microbes did oxidize iron from Fe(II) to Fe(III). Moreover, transmission electron microscopy revealed that this oxidation affected the biotite structure, leading to changes that resemble those observed in nature. This work offers new insight into the roles of microbes in soil production and in the biogeochemical cycling of minerals and suggests that microbes have a direct effect on rock weathering—that bacteria oxidize iron, leading to mineral transformations then rock decomposition. The evidence here is that the biotite component of rocks were degraded by the action of the microbes by changing the iron structure and hence making it susceptible to weathering. The wonderful and fascinating mycorrhizal fungi found attached to root systems ranging from vines to large trees can extract mineral nutrients from rocks (by exuding organic acids) in order to feed the trees or vines to which they are attached. We will discuss the process of the taking up of essential elements into vines by mycorrhizal fungi in more detail in the next part of this series, however we would also like to draw attention to a very elegant experiment conducted by researchers from the University of Arizona and the University of California at Irvine where they showed that different rock types were weathered at different rates by mycorrhizal fungi through the organic acids they exude and that the presence of different rocks meant that different essential elements were absorbed by the plants. The role of symbiotic mycorrhizal fungi in shaping terrestrial ecosystems is fundamental. Many of the characteristic plant communities that dominate the major terrestrial biomes of the world do so today because selection has favoured different types of symbiotic associations that are adapted to the prevailing suites of soil, vegetation and climatic conditions characterising these different environments. As we learn more about the diversity of the fungi involved and the specificity of their relationships with different plants, so we improve our understanding of the functional diversity of mycorrhizal symbioses. Old models, based solely on the mineral nutrition of individual plants, are giving way to new models with a broader functional basis, using more ecologically relevant species and substrates. Comparative analysis of different systems will improve our understanding of responses to environmental and climatic perturbations. This new knowledge is an important pre-requisite for future, sustainable management of terrestrial ecosystems. We have attempted to show in this article that soils are produced in a variety of ways including physical degradation, chemical weathering and via biological agents. This creates the soil which is the key factor in producing great grapes and therefore great wines. 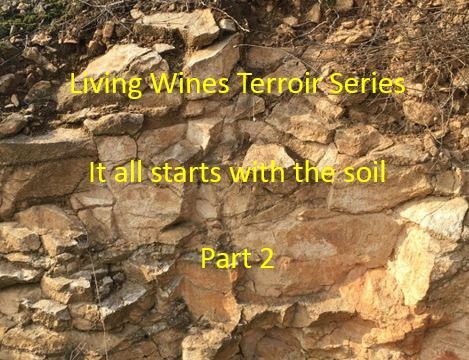 In the next article, we will dive down into the murky depths of the soil to discuss how the nutrients in the soil get into the vines and how some action in the vineyard such as excessive tillage or the use of chemical sprays reduce the chances that the grapes will be healthy and capable of receiving nutrients. Shelobolina ES, H Xu, H Konishi, RK Kukkadapu, T Wu, M Blothe, and EE Roden. (2012) “Microbial Lithotrophic Oxidation of Structural Fe(II) in Biotite.” Applied and Environmental Microbiology 78(16):5746–5752. Renske Landeweert et al (2001) Linking plants to rocks: ectomycorrhizal fungi mobilize nutrients from minerals. Trends in Ecology & Evolution. Volume 16, Issue 5, p248–254. Roger D. Finlay (2004) Mycorrhizal fungi and their multifunctional roles. Mycologist, Volume 18, Part 2. Cambridge University Press.